How do you make your shop stand out on the street? 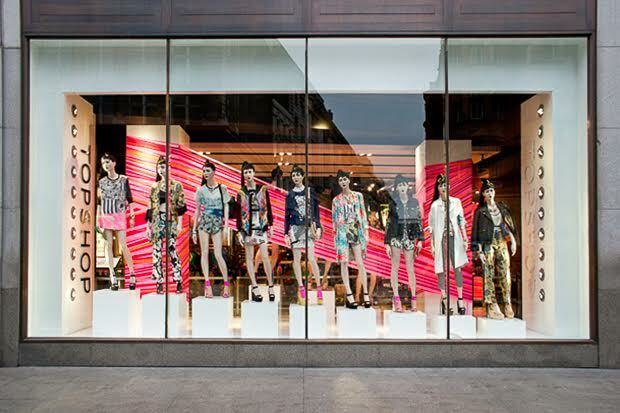 Well, it all starts with curating a great window display. 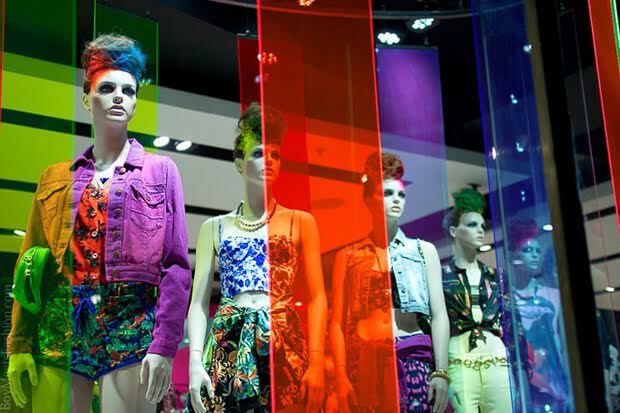 Your windows are essentially a blank canvas to not only exhibit the best of what’s in-store, but to get creative and allow your brand personality to shine through. It’s your first opportunity to catch the attention of the passersby and entice them into your shop. As this is a vital marketing space, it’s crucial you not only get it right, but you utilise it to its full potential. 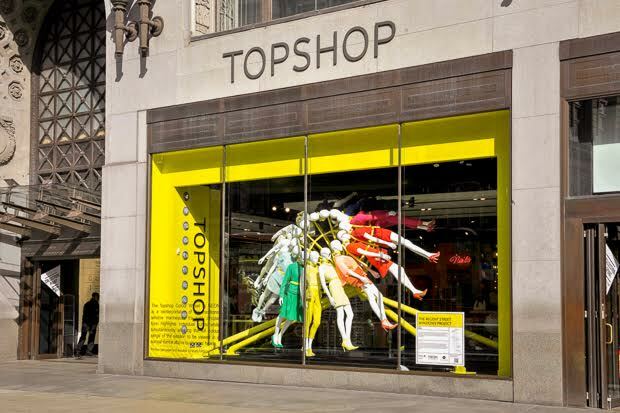 To help you master a killer window display, we caught up with Sian Roberts, the Head of Creative at Topshop, who shared with us her top tips and advice. 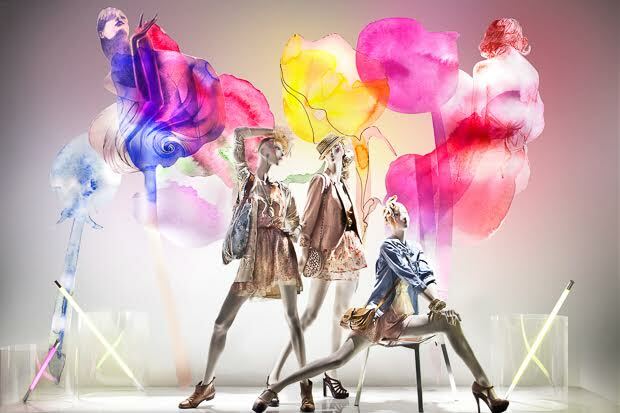 Here are the six key components for making a shop window stand out. Layer, layer, layer. Don’t be 2-dimensional with your ideas because people love to discover and uncover things. Add different heights and multiple layers with vinyls and materials, stands and suspensions so customers eyes can gaze over your window for more than a couple of seconds. 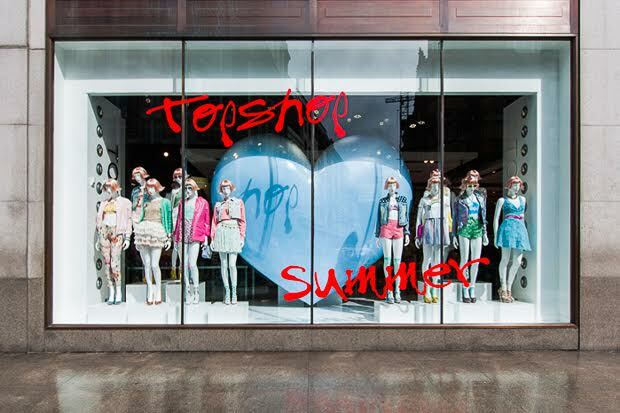 During the planning stages of design at Topshop, “it’s back to the brainstorm process – we update the look of our stores every season and so pull together loads of mood boards based on our inspirational trips.” It is always a good idea to choose a focal point for your display which will ideally sit at eye level and the point at which you can build the rest of your display around. On that note, windows aren’t often at street level meaning you will need to go outside of your shop and see for yourself whereabouts your customer’s eye level will be. If you plan on suspending objects from the ceiling or elevating objects from the floor, try to get them to still reach eye level to ensure they are noticed. Don’t create a timid display, be bold and inventive. This is your chance to be eccentric, flamboyant, grandiose and vibrant. Using large objects or striking props and a bright colour palette can help to do this. “I believe we should inspire and excite,” Sian commented, “It’s also about being brave and taking chances,” There is a fine line between ‘wow’ and ‘over the top,’ so try to still maintain a sense of simplicity. If this isn’t quite your brand’s style then you can still catch people’s attention – use a monochrome colour scheme, have elegant vintage props or be minimalistic adding emphasis on just one or two key products in your window. Always rotate and change your display. Shopping trends are synonymous with social trends so you need to make sure you stay relevant. 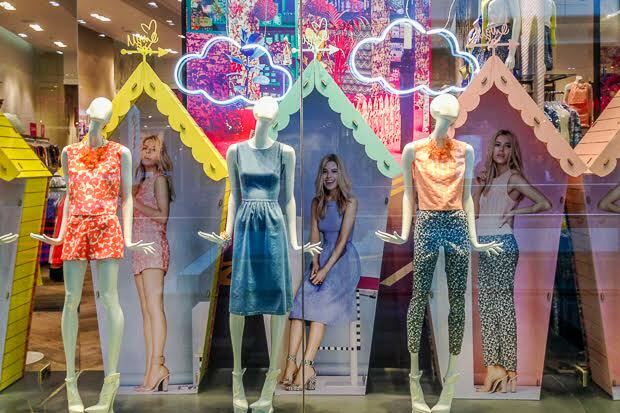 “In our Oxford Circus store we look to update the window scheme as often as every 3 weeks,” said Sian, “although around Global launches they occur more regularly. We update the styling in our windows weekly, although again the teams are very reactive to weather/trends so this can and does happen more often at times.” However, for smaller brands with a low budget or a short residency in their space, at least every two months should be sufficient to keep your space fresh. So now you know the secrets from one of the most influential fashion stores in the world, there are no excuses for not making your window space the best on the street.